A classic 1.6 meter tall floor standard lamp, with an antique brass finish stepped circular base, ornate upright lamp stand and complementing pleated mink fabric tapered shade. This traditional floor lamp is a suitable secondary light source for the sitting room, larger hallway or bedroom and is easily operated by an in-line foot operated on / off switch. 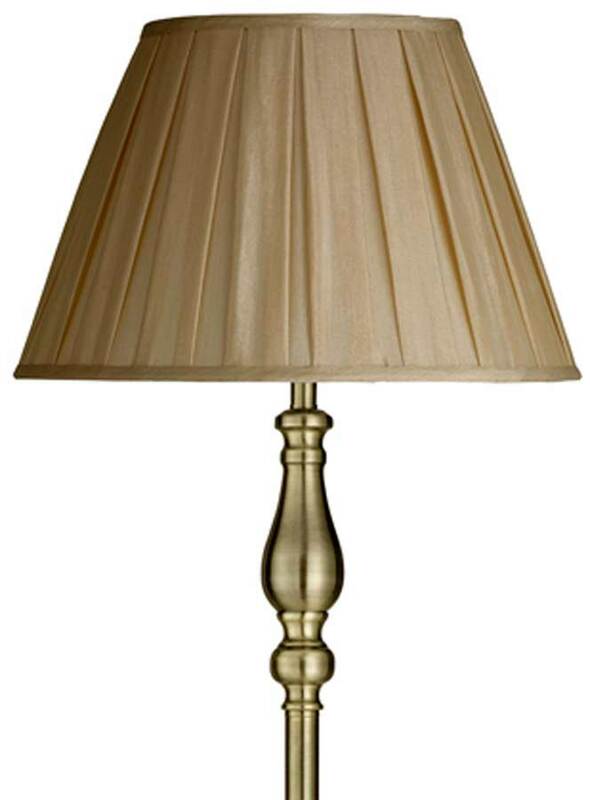 Other products in this timeless lighting range can be viewed below and include an elegant matching table lamp.